Can you believe that it’s already September?! This is definitely the biggest goal for this month, and probably the most stressful. My entire 2017 has pretty much entirely consisted of me moving from place to place, and I’m hoping that – come the end of September – I won’t be moving again for a while. I’m heading to the capital of Canada, though it’s definitely smaller in population than a lot of other cities in this country. We’re driving across Canada from one side to the other and we have a week to get there before closing – it’s going to be a very long drive! 2. Set up in the new house. The house is gorgeous, not in the midst of all the hustle bustle but not too far away from the action either. I can’t wait to share snippets with you on Instagram (you can follow me here) and Twitter (follow here). I don’t want to say too much yet but I have big plans for how I’d like to decorate the place when we get there! 3. Get my hands on the Essie Fall 2017 collection. 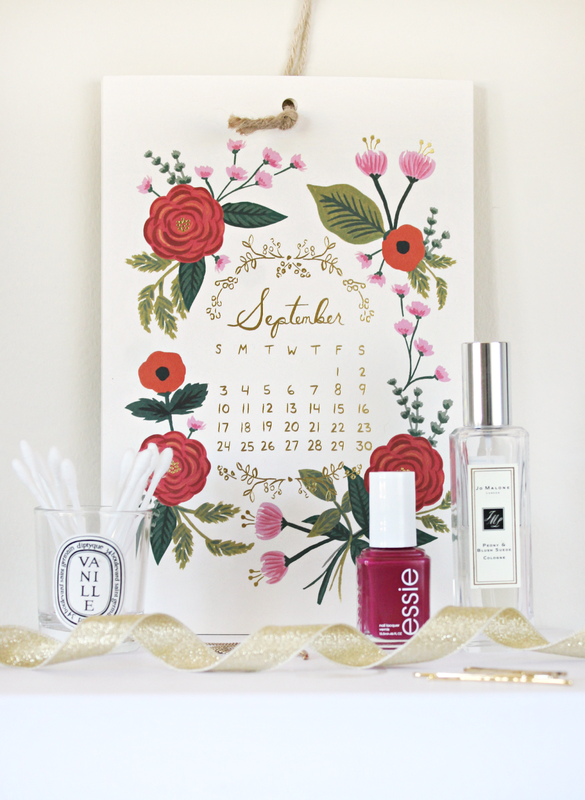 I have been loving the Essie collections this year, and the fall collection is no different. The colours are really different to usual, with lots of emphasis on purples and blues. I’m particularly smitten with Girly Grunge which looks stunning for some metallic shine throughout Autumn. It’s described as ‘a soft silvery metallic with a light purple shine’ and the swatches look so dreamy! 4. Find some gorgeous homeware. I’m probably most excited about this goal. With the move, we’re having to stick to a pretty strict budget so I’m definitely going to be looking for more affordable smaller pieces to make the house feel homely. It’s a lot larger than the house that I’m moving from so I know that there will be a lot of empty spaces to fill. I do have some ideas of how I’m going to do this but it will require a little shopping here and there, plus some DIYs and crafty projects. Let me know if you’d like to see a blog post or two on this! 5. Organise some Autumnal blog posts. My blog has taken a little bit of a back seat for these past two months because of the wedding and the move to Canada. I do want to start posting more regularly again because I really do miss it! I’ve got a few days this week where I can really sit down and type up some blog posts, and then I’ll shoot as many photographs as I can over the weekend. I have some really exciting ideas for posts over the next little while and I can’t wait to get started on creating them. Next Post Autumn Wardrobe Wishlist.